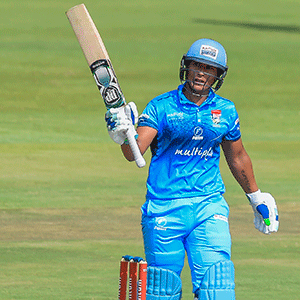 Cape Town - A measured half-century by Henry Davids laid the platform for the Titans to claim their first win of the CSA T20 Challenge season with a seven-wicket bonus-point win over the Cape Cobras in Benoni on Wednesday. There were also useful contributions by Theunis de Bruyn (29 off 13 balls) and Diego Rosier (43 not out off 27 balls) - the defending champions making light work of a tricky target at Willowmoore Park. Mark Boucher's side were excellent throughout on the East Rand, and after winning the toss and bowling, they chipped away regularly to keep the Cobras in check.